So, after the November updates to version 2.8 was exactly half a year, we recall that Moodle HQ on schedule lays out a new release every six months, in November and May. Thus, May 11, 2015 is now available for download the new version of Moodle 2.9. Still, let’s look at the new version in more detail. 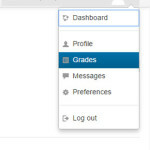 On the page of the user menu «Grades» is now displayed all the courses for which the student is enrolled, and if the user is the creator or instructor of a course, he can see a list of such courses on the same page. In the tracker 48936 users asked to combine the Homepage and «My homepage», because, really, there is difficult to understand how they differ for novice. Moodle developers made an automatic redirect for logged users on their «homepage» (moodle-url/my/) with the content of enrolled courses. Short personal information about the user: Country, City, interests, etc. 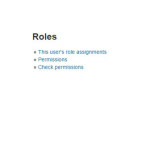 But the main thing — now profile page became a customizable, it is possible to develop additional modules / plugins / blocks for Moodle and output to specialized information, to put it simply — to add new units. User settings page /user/preferences.php allows the user to quickly change an own settings. The link is available from the top right menu, select «Settings». Preferred language — note that a change in the preferred language will affect only the interface of Moodle, but not on the course content. Previously, during the transition between the sections in Moodle, depending on the content of sections and subsections in the header can vary, ie there was no single structure, now it has led to a uniform format. This applies to user pages, subpages, «breadcrumbs», common menu tree. If you use a modern browser, your work with the visual editor Atto has become much easier in terms of downloading pictures into editable content. Introduced convenient option drag-n-drop uploads, which makes it easy to upload images to the content area of the visual editor without further action select the file in the folder of your computer. as an administrator in the «Bulk user actions». You must select a user / users and in the «With selected users…» select «Send a message». There is a new search function for searching uploaded files at Moodle files manager, now a teacher, leading some courses, it will be easier to search for files used in its old courses. Moodle 2.9 adds the ability to quickly remove the course from the page of the course, without much navigation screen control courses. A new built-in block with the data passed on the results of a particular user content. To activate the block go into customize mode / settings and add a new block. The block can be configured: for example the number of results displayed in the block, also set the activity in which the report will be displayed. Earlier in the glossary export/import to XML, there did not inserted information about the attached images if the ones are inserted from outside sources. Now Moodle developers to correct this omission. Added button to return to the course from the students course subscription page, it is again make easy navigate on Moodle. Now the uploading plugin type detecting automatically through the Moodle plugin uploader, based on the parameter $plugin->component of necessary Moodle plugin file: version.php. The largest amount of active Moodle contains a table of logs, since almost every action of any user logged into the database and, for example, exports of these data, the system could «fall» due to the fact that server did not have enough RAM to handle this kind of request. Tracker 48595 this issue was raised and successfully solved. In Moodle 2.9, there is a new page to view active user sessions. This solves some security issues: You can see the IP address of the user and does not use check whether any part of the person another session. It is also useful for monitoring and verification of controversial issues of the student and the teacher. Team Moodle has been incredibly busy for the past few months bringing together another major release of Moodle.